A young trainee in the front row raised his hand. “When did they win those awards?” He pointed at the picture of a smiling lady, her silver hair shining in the stage lights. It’s old news. But woah, hold on, wait a minute. So, when recruiting and on-boarding volunteers, should we just ditch mentioning our volunteer awards and heck while we’re at it, should we just forget about talking about our accomplishments too, because that stuff happened last week? Should we hide our best volunteers in the closet because hey, they’re so yesterday? No, that’s not even close to what I mean. I am all for showcasing awards and accomplishments and sharing volunteer achievements with anyone and everyone. I am all for nominating volunteers for awards. In a previous post, Awards: The Bridge to Inspire I listed reasons for nominating inspiring volunteers. I am all for exposing new volunteers to passionate and inspiring experienced volunteers. So, what do I mean? Past awards and achievements are like a building’s foundation. They illustrate the strength of mission worth and goals achieved. 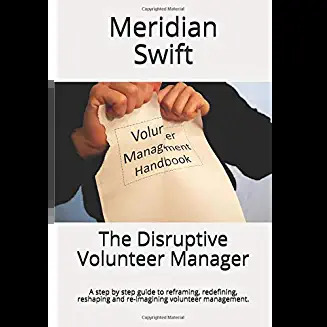 They show the new volunteer that your organization has a solid base and has worked hard to lay down an infrastructure on which to continue building. The modern volunteer needs to get excited about their volunteering journey. Much more than in years past, volunteers are looking at the future instead of being content with the present. It’s a subtle, but significant shift. What does that mean for us then, when it comes to recruiting, retaining and on-boarding new volunteers? It means balancing past volunteer awards and accomplishments with present goals and visions of the future. It means setting the foundation and then inspiring new volunteers to put up the walls, or decorate the interior or construct another floor. It means focusing on continually moving forward. Getting in on the ground floor of any enterprise is always exciting. There’s a sense of ownership, of possibilities, of seeing an idea take flight. As a society, we love start-up successes because those stories are filled with grit and vision and frankly, we imagine that those people could be us. By balancing accomplishments with future goals, we infuse a sense of organizational history with a vision for the future. And nothing is more infectious than an inspiring vision. 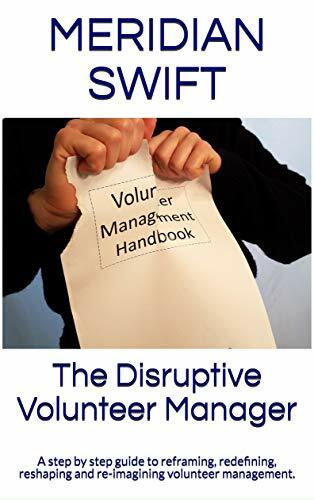 It gives new volunteers their own identity. It means that they won’t feel as though they have to mimic past volunteers in order to win an award. Instead, they will look forward to making their unique mark. New volunteers learn a great deal about mission work and goals from the past, but they are motivated by the excitement of what’s to come and how they fit into visionary plans. They want to own the future. Let’s make sure we give it to them.